The government is now entering the second month of the shutdown and landlords and tenants of Section 8 housing are starting to feel the burden. The Housing Choice Voucher Program, also known as Section 8 Housing, is a federally funded program that makes housing affordable for low-income families. However, since the government is still shut down, people depending on this housing assistance are worried they could lose their home. Gloria Mitchell made the move from her car to a Section 8 home in Oceano last April. She said her landlord has always been kind to her and said she isn’t worried about eviction. However, if the government doesn’t open soon, she could see why her landlord might have to resort to it. 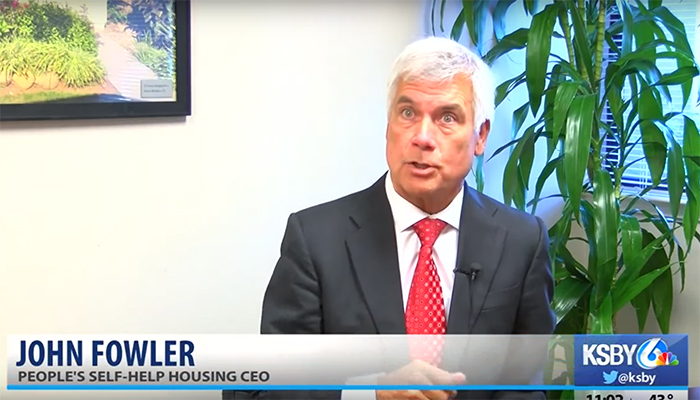 People’s Self-Help Housing creates local affordable housing and accepts Section 8 vouchers, but because vouchers aren’t getting funded, the CEO said the non-profit is having to dip into reserve money to keep current tenants in their homes. Fowler says there is a huge need for affordable housing on the Central Coast, but the shutdown is forcing them to postpone development of new units. “We’re able to do this for a while, but we start to make unpleasant choices about housing for our most vulnerable population on the Central Coast because those funds will need to go to keep those who are currently housed in their homes,” said Fowler. Fowler said that even if a bi-partisan agreement is made to temporarily open the government, it would help bring in funding. The U.S. Department of Housing and Urban Development has only approved these vouchers through the month of January, which means by February, Section 8 landlords may not get the full amount of rent due to them and tenants may be expected to pay the full price rather than the usual 30 percent of their monthly income. KSBY reached out to HASLO, the local housing authority which distributes Section 8 vouchers, but did not receive a response. According to its website, HASLO expects to make January payments without interruption, but there was no mention of what could happen beyond that. According to the Center on Budget and Policy Priorities, nearly 500,000 Californians used federal assistance to rent affordable housing in 2016.